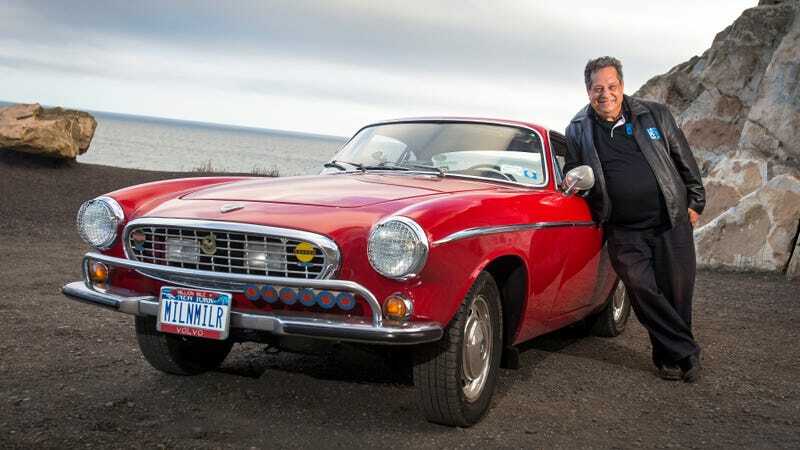 Irv Gordon, the man from Long Island who broke the Guinness World Record for highest vehicle mileage on a single vehicle when the Volvo P1800 he’s owned since new passed three million miles in 2013, has died at 77. The news of Irv’s death came from his daughter, who posted about it on Facebook, and was picked up by the Facebook page dedicated to him and his Volvo P1800 adventures. On September 18, 2013, Irv clocked over three million miles in his 1966 Volvo P1800 near the village of Girdwood, Alaska, according to Guinness World Records. Prior to that milestone, Irv initially broke the record at 1.69 million miles, getting the attention of Volvo, which has gifted him a Bertone 780 Coupe, C70 and XC60 over the years for his accomplishments. The car reported hit 3.2 million miles in May of this year after a long life, and as Autoblog reports, Irv had the P1800's engine rebuilt at 690,000 miles, gave it a new engine in 2009, and always did the regular maintenance on the car himself. Irv is a warm reminder to buy the car you want, don’t forget to drive it and, if you take care of it well, it’ll take care of you. You can read more about Irv’s journeys here. It is with great sadness that Volvo Car USA learned of Irv Gordon’s passing yesterday. We’ve been lucky to be along for Irv’s countless adventures, perhaps none more monumental than when he passed three million miles in his red 1966 P1800 in 2013 in Alaska, a record that no other individual has accomplished in more than 100 years of automobile manufacturing. Would You Drive The Volvo P1800 For 1 Million Miles?